Our company is engaged in offering High Efficiency Industrial Blowers which are parallel with quality standards. These are manufacturer using premium quality raw material which enable us to deliver supreme products. These are made as per the client's requirements and specifications. We offer a complete range of custom designed Heavy Duty Industrial Blower in MS, SS lined for various industrial applications. Impellers are available in different geometries as per end user’s applications. 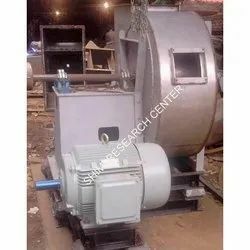 Stainless Steel Centrifugal Blower offered comes designed and developed using latest technology support and can be made available in air flow options of 100 to 164 CFM. 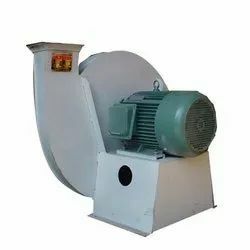 Further, the blowers come with die cast impeller housing support as well as in galvanized sheet steel construction finish so as to provide for lasting service usage. Further, the presence of capacitor-run induction and external rotor motor support also assure of smooth working action. Shimi Research Center Private Limited is a leading Centrifugal Blower manufacturer in India. 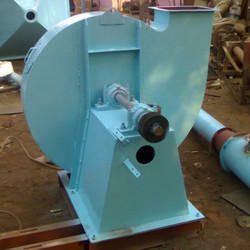 We manufacture Centrifugal Blower with best quality and standrds. Centrifugal blowers can be designed for low to high pressure /flow for different applications such as heating, combustion, extraction, ventilation and air conditioning. Because of high product quality, we are effectively exporting Centrifugal Blowers in various parts of the world. At present we are one of the leading exporters of Centrifugal Blowers to South Africa and Middle East countries such as UAE and Saudi Arabia. Blowers are available in Single Inlet Single Width (SISW) and Double Inlet Double Width (DIDW) manufactured from MS as well as SS-304, SS-316, MS-FRP, PP-FRP and other special materials. We can supply centrifugal blowers with air handling capacities of 500 CMH to 250000 CMH with pressure as high as 1400 mm WC. Impellers are available in different geometries as per end user's applications. All the fans/ blowers are statically and dynamically balanced. The fan wheel consists of a hub on which a number of fan blades are attached. The fan blades on the hub can be arranged in three different ways: forward-curved, backward-curved and radial. Backward Curved: These are high efficient blades. The bladders are flat and of single thickness. These fans are used for large heating, ventilating, air conditioning and industrial system where the blade may be subjected to corrosive or erosive environments. Forward Curved: These are less efficient than backward inclined fan ribs. The blades are curved forward in the direction of rotation. As these require the lowest speed of any centrifugal to move a given amount of air, these are used for low pressure heating, ventilating, and air conditioning systems, ranging from room air conditioners to residential furnaces. Radial: The fans with radial blades are generally considered the least efficient of the centrifugal fans, and the blades are radial to the fan shaft. They are often characterized by greater noise output. These are used for material handling and moderate pressure industrial applications. Radial Tip: These are comparatively efficient than the radial blade fans. The blades are radial to the fan shaft at the outer extremity of the impeller, but gradually slope towards the direction of wheel rotation. The impellers are designed for wear resistance in mildly erosive air streams. Pressure Combustion Blower: Blowers which have higher outlet pressure than inlet are effectively used for combustion application in furnaces and boilers. They are normally direct drive blowers with high RPM equipped with pre-filter and adjustable damper to control the air quality and flow into the system. Medium Pressure Blowers: They are typically Induced Draft, ID fans with medium pressure and low to high flow rates used for different systems such as dust collectors, scrubbers, cyclones and material handling units. They can be either in direct drive or V-belt arrangement. Exhaust Blower: Exhaust centrifugal blowers are designed for application having low pressure and low to high flow rates requirements. They are effectively used for ventilation, dust and fume extraction applications. They can be either in direct drive or V-belt arrangement.